Zoned MFR10! Totally remodeled, new paint, new beautiful hardwood floors, new windows, new roof in 2010. The kitchen has quartz countertops. Plus the bathroom has new tile, new bathtub, new sink - so cute! 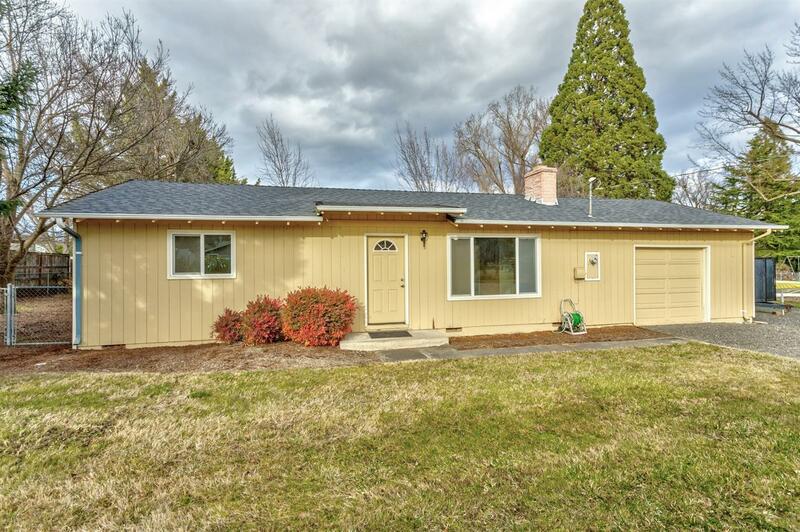 Picture windows open to a charming home, with a real'' fireplace, dining area with a slider to the huge back yard. There is lots of RV parking, you can put the big bus'' there. The single car garage is oversized with an additional canning or storage room. Directions: South on Peach from Oakdale, right on Diamond.